Bethlehem, Connecticut Fire Department- has placed an order for a Spartan/Smeal 1500/2500 pumper/tanker. Posted February 2019. Beacon Falls Fire Department- has funds to replace Engine 1 with a quint. Bradley International Airport, CT Fire Department- has placed an order with Sutphen for a 2019 pumper with 1500 GPM pump, 500 gallon water tank and 20 gallon foam cell. Posted September 2018. Bristol, Connecticut Fire Department- has on order a Pierce 95' Mid-Mount Tower on an Arrow XT chassis. It will replace Tower 1's 2006 E-One. Delivery is expected in April 2019. Posted January 2019. Cheshire, Connecticut Fire Department- voters approved funds to purchase a new pumper. Posted November 2018. Durham, Connecticut Ambulance- has on order a new ambulance. East Brooklyn, Connecticut Fire Department– has placed an order with Rosenbauer for a mini pumper built on a Ford F-550 chassis. It will feature a Hale 1500 GPM pump and 350 gallon tank. Posted November 2018. East Litchfield, Connecticut Fire Department- has ordered a 2018 Ford F-550/Toyne 1000/300 Mini Pumper. Delivery is expected to be sometime in December 2018. Posted June 2018. Fairfield, Connecticut Fire Department- funds have been approved to purchase a new Pierce Ascendant tower-ladder for Ladder 2. Posted March 2019. Manchester, Connecticut 8th Utilities- has on order a Pierce Saber pumper. Delivery is expected in late March or April. Posted February 2019. North Haven, Connecticut Fire Department- has on order a Sutphen SPH-100 mid-mount tower. Oneco, Connecticut Fire Department- has on order a new tanker being built by Rosenbauer on a Kenworth chassis. Delivery is expected later this year and it will replace their E-One tanker. Posted March 2019. Orange, Connecticut Fire Department- has placed an order with Smeal for a 79' RM ladder truck built on a Spartan chassis. It will feature a 1500 GPM pump and 500 gallon water tank. Delivery is expected in December of 2018. Posted in February 2018. Padanarum Fire Co (Danbury, Conn)- has received a Federal grant to purchase a new pumper. Posted July 2018. Plainville, Connecticut Fire Department- voters approved funds to purchase a new pumper and a new ladder truck. Posted June 2018. Prospect, Connecticut Fire Department- voters approved funds to order a new Pierce Velocity pumper/tanker with 3000 gallon tank. It will replace Engine 5's 1999 Pierce Lance and is expected to be delivered sometime in mid 2019. Posted June 2018. Rocky Hill, Connecticut Fire Department- has on order two (2) Sutphen pumpers. South Windsor, Connecticut Fire Department- will have their 3rd Sutphen pumper delivered around the holidays. This will be designated Engine 6. Southbury, Connecticut Fire Department- has placed an order with Pierce for a new Velocity PUC pumper. Posted February 2019. Southington, Connecticut Fire Department- will have their 3rd Sutphen pumper delivered in July (a twin to the current E11). Squantz Engine Co (New Fairfield, CT)- has placed an order with 4-Guys for a Stainless Steel Pumper with 1500 GPM pump and 1500 water tank. Stamford, CT- has on order a 100' RMA and heavy rescue with KME. Sterling, Connecticut Fire Department- has on order a new 75’ mid-mount Sutphen tower-ladder that will repalce their existing stuphen Tower. Posted March 2019. Voluntown, Connecticut Fire Department- has on order a Firematic BRAT brush truck being built on a Ford F-550 chassis. It will replace the Humvee brush vehicle currently in service. Posted November 2018. Wallingford, Connecticut Fire Department- Sutphen has completed construction of a Monarch 1500/750 pumper for Engine 2. Delivery is expected in January or early February of 2018. Water Witch Hose Co. 2 (New Milford, Conn)- placed an order with Pierce for a new tower-ladder. A Federal grant was used to purchase the truck. Posted in November 2018. Waterbury, Connecticut Fire Department- has been awarded a Federal grant that will be used to purchase a new pumper. The new pumper will replace Engine 4's current rig. Posted August 2018. West Hartford, Connecticut Fire Department- has been awarded a Federal grant in the amount of $200,000 for an Ambulance. Yantic Fire CO (Norwich, CT)- has placed an order with Pierce for a pumper built on an Enforcer chassis. It will carry 770 gallons of water and 30 gallons of foam. Posted April 2019. Augusta, Maine Fire Department- funds have been approved to purchase a new pumper and a new ambulance. Bradley, ME – has received a Federal Grant in the amount of $142,500 for a Brush Fire Truck. Corinna, Maine Fire Department– has placed an order for a Rosenbauer tanker built on a 2020 Freightliner 108SD commercial chassis. It will feature a Hale 1500 GPM pump, 2500 gallon tank, rear swivel telescoping dump, internal ladder and suction storage. Posted November 2018. Durham, ME- has approved $210,000 to purchase a used fire truck. Gray, Maine Fire Department- has placed an order for a Seagrave Apollo II 105' tower-ladder with 1500 GPM pump and 500 gallon water tank. Delivery is expected in September of 2019. Kennebunk, Maine Fire Department- has on order a new Sutphen pumper to replace Engine 4. Delivery is expected in early 2019. Posted September 2018. Kittery, Maine Fire Department- has on order Kittery a KME Pumper for Engine 1. Delivery is expected in June of 2019. Posted March 2019. Lewiston, Maine Fire Department- has signed a contract with Pierce to build a 107' Ascendant ladder truck on an Enforcer chassis. It will replace Engine 3 and is expect to be delivered in the fall of 2019. Posted November 2018. Lisbon, Maine Fire Department- voters approved funds to purchase a new pumper to replace Engine 7. Posted November 2018. Mount Desert, Maine Fire Department- has on order a Ferrara CAFS pumper built on an Igniter chassis. 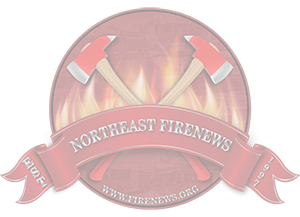 Newcastle, ME – has received a Federal grant in the amount of $49,400 for a Brush Truck. Norridgewock, Maine Fire Department- voters approved $350,000 to purchase a new pumper. Unknown manufacturer at this time, but it will replace a 1989 pumper. Posted March 2018. Portland, Maine Fire Department- has placed an order with Pierce for a heavy rescue built on an Enforcer chassis. The rig was purchased with a FEMA grant and delivery is expected to be in late 2019. Posted December 2018. Portland, Maine Fire Department- Rosenbauer has completed construction of an ARFF crash truck for the Jetport. Delivery will take place sometime after the FDIC where it is on display. Posted April 2019. Sangerville, ME- has approved funds to puchase a Rosenbauer pumper that will replace a 1975 Chevy pumper. South Portland, Maine Fire Department- has placed an order with Braun for a new 2019 Ford E-450 gasoline ambulance for Ambulance 41. Delivery expected Spring 2019. Tremont, Maine Fire Department- funds have been approved to purchase a new pumper. The unit will be built by Howe and Howe Fabricators in Waterboro, Maine. Posted July 2018. Vassalboro, Maine Fire Department- funds have been approved to purchase a new pumper. Waldoboro, Maine Fire Department- voters approved funds to purchase a new pumper to replace Engine 3. Posted November 2018. Waterboro, Maine Fire Department- has placed an order with E-One for a new pumper. Posted November 2018. Wilton, Maine Fire Department- funds have been approved to purchase a new light rescue. Windham, Maine Fire Department- has funds to purchase a new mini-pumper. Posted November 2018. York Beach, Maine Fire Department- has funds to replace Rescue 3 and is also looking to replace Rescue 1. Abington, Mass Fire Department- Ferrara is nearing completion of the new Cinder pumper with 1500 GPM pump, 750 gallon water tank and 20 gallon foam cell. It will replace Engine 4 after delivery. Posted January 2019. Andover, Mass Fire Department- town meeting approved funds to purchase a new ladder that will replace the KME mid-mount tower. Posted May 2018. Ashby Mass Fire Department- has placed an order for a 2018 Dodge 5500/PL Custom Ambulance. Posted July 2018. Barre, Mass Fire Department- has placed an order with Pierce for a 1500 GPM pumper on an Enforcer chassis. Delivery is expected in September of 2019 and will replace the current Engine 4. Posted January 2019. Belchertown, Mass Fire Department- has placed an order with Pierce for a new pumper built on a Saber chassis. Posted October 2018. Bolton, Mass Fire Department- has on order an International Terrastar/Horton ambulance. Funds were also approved for a new pumper. Boston Fire Department- has signed a contract with E-One for 9 new pumpers over 3 years. They will have the same specs as all the new E-One pumps. They have also ordered 5 E-One Metro ladder trucks. Unkown time frame for those. The department has also started the process of specing out 2 new E-One heavy rescue trucks. Those will not be ordered for another year or two. Posted February 2019. Boylston, Mass Fire Department- Town meeting approved a request to pay $20,000 for the matching portion of a FEMA grant for a new pumper. Braintree, Mass Fire Department- funding has been approved to purchase a new ladder truck for Ladder 2. Posted July 2018. Burlington, Mass Fire Department- has on order a Piece Quantum pumper. Posted April 2019. Cambridge, Mass Fire Department- has placed an order with Pierce for an Enforcer pumper. It will be assigned to Engine 5 and is expected to be completed in June of 2019. Dalton, MA Fire District- has placed an order with Toyne for a pumper built on a Spartan chassis. The rig will be equipped with a Spartan Gladiator LFD cab, 450 HP Engine, Waterous Two-Stage 1500 GPM Pump, Waterous Platinum CAFS System, and a Toyne Stainless Steel Body. Delivery will be May 2019. Posted June 2018. Danvers, Mass Fire Department- has on order a new KME pumper. Delivery is expected sometime in mid to late 2018. Egremont, Mass Fire Department- has ordered a 2019 Ford F-550 4x4 2-Door / Rosenbauer light duty rescue. It will be delivered in October. Posted March 2019. Fitchburg, Mass Fire Department- has placed an order with KME for two (2) new pumpers for Engine 2 and Engine 4. One was purchased with a Federal grant and the other with city appropriated funds. Posted November 2018. Foxborough, Mass Fire Department- has placed an order with Pierce for an Ascenant 107' RMA. It was purchased with Federal grant funds. Posted November 2018. Gardner, Mass Fire Department- has been awarded a Federal grant to purchase a new pumper. Posted September 2018. Gloucester, Mass Fire Department- has placed an order with E-One for an ambulance built on an International chassis. The unit was purchased with funds from a Federal grant. Posted November 2018. Hamilton, Mass Fire Department- has purchased a Pierce Impel 1500/750 stock pumper. Delivery to the department will take place after outfitting at the local dealer. Posted in June. Harvard, Mass Fire Department- voters have approved funds for a new tanker. Haverhill, Mass Fire Department- KME has completed construction of the new pumper and it is in the process of being outfitted. After delivery, it will be assigned to Engine 1. Engine 1's current pumper will be reassigned to Engine 4 and that piece will become a spare. Posted January 2018. Hingham, Mass Fire Department- Pierce is nearing completion of the department's new 100' tower. The rig also features a pump and water tank and is expected to be delivered to the department sometime in late April. Posted March 2019. Holyoke, Mass Fire Department- has been awarded a Federal grant that will be used to purchase new rigs to replace Truck 1, Truck 2 and Engine 5. Posted August 2018. Update December 2018- Truck 1 has received a 2018 KME Panther 103' RMA stock truck. The other two are custom orders with a longer delivery time (unless that changes). Lawrence, Mass Fire Department- has placed an order with Pierce for a new rescue/pumper. It will be assigned to Engine 5 upon delivery. Engine 5's current piece will be reassigned as Engine 8 with the plan to put that company back in service. Posted March 2019. Lunenburg, Mass Fire Department- has on order an E-One 110' RMA ladder truck. Posted December 2018. Marion, Mass Fire Department- has on order an E-One pumper. Mashpee, Mass Fire Department- town meeting approved funds to purchase a new tanker. Posted May 2018. New Bedford, Mass Fire Department- has been awarded a Federal grant that will allow them to purchase a new ARFF vehicle for the airport. CLICK FOR ARTICLE. Posted August 2018. Newbury, Mass Fire Department- funds have been approved for a new pumper and rear-mount ladder (straight ladder with no pump). The pumper will go to the Byfield station replacing Engine 3. The ladder will go to the Newbury station, where in turn, the current ladder (ex Brookline Pierce quint) will be moved to the Byfield station. The current Ladder 1 Smeal will then be disposed of. North Reading, Mass Fire Department- funds have been approved to purchase a new pumper to replace Engine 3. Norton, Mass Fire Department- town meeting approved funds to purchase a new pumper. Posted May 2018. Norwood, Mass Fire Department- town meeting approved funds to purchase a new pumper. Posted June 2018. Orange, Mass Fire Department- has placed an order with Pierce for an Enforcer PUC pumper. The rig was purchased with Federal grant funds. Posted October 2018. Pepperell, Mass Fire Department- has selected Spartan/Smeal to build a new ladder truck for the department. Funding was approved at town meeting with a final bid price of $1.4 million. Posted December 2018. Plainville, Mass Fire Department- the new 2018 Spartan Gladiator/Toyne 1750/1000/25F pumper has been completed at the factory and will be delivered after outfitting at the local dealer. Posted February 2019. Plymouth, Mass Fire Department- has on order an E-One ladder truck. Posted April 2019. Provincetown, Mass Fire Department- funds have been approved to purchase two new pumpers to replace the 2 engines that were damaged back in the January storm. Posted in May 2018. Quincy, Mass Fire Department- has planced an order with KME for a Tractor-Drawn Aerial Ladder truck. They have also placed an order with KME for a heavy rescue, which will be paid for with money awarded in a Federal grant. Both units are due sometime in 2019. Posted October 2018. Reading, Mass Fire Department- is in the process of specing out a new pumper to replace Engine 4. Posted May 2018. Sandwich, MA- has placed an order with Sutphen for a pumper with 1500 GPM pump and 1500 gallon tank. Seekonk, Mass Fire Department- a new pumper is in production at the Ferrara plant with delivery due sometime in the spring. Posted March 2019. Sheffield, Mass Fire Department- has Placed an order with Pierce for an Enforcer PUC pumper. Posted October 2018. Sherborn, Mass Fire Department- has placed an order with Rosenbauer for a pumper built on a Commander chassis with 6 man cab to replace Engine 2. The new truck will have a huge hose bed to accommodate 5000’ of 5” LDH, a Waterous 2000 GPM Pump and 500 gallons of water. Also, Sharon has ordered a Rosenbauer Timberwolf to replace their current Engine 6. The new truck will be mounted on a 4-door Freightliner M2 chassis with a 1250 GPM Rosenbauer NH (Normal/High) Pump capable of pumping normal and high pressure, a Rosenbauer FixMix foam system with a 30 gallon cell capable of producing “CAFS like” foam when pumped in high pressure mode, a 1000 gallon tank, dual hose reels and a front bumper turret capable of pump and roll operations. Posted July 2018. Somerville, Mass Fire Department- has on order a Spartan/Toyne pumper for Engine 3. Southwich, Mass Fire Department- has placed an order with Sutphen for a SP70 Aerial Platform. It will feature a 2000 GPM pump, 500 gallon water tank, 25 gallon foam cell and a 70' boom. Posted September 2018. Springfield, Mass Fire Department- will be placing an order with Pierce for a 2019 Enforcer PUC for Engine 1. Posted November 2018. Sunderland, Mass Fire Department- has placed an order for a Rosenbauer Commander 4X4 Custom Pumper. It will feature a Top-Mount Hale 1500 GPM pump, 1000 gallon tank, hydraulic ladder rack, and a front bumper mounted hose reel. It will replace Engine 2's 1988 KME. Posted November 2018. Swampscott, Mass Fire Department- has placed an order with Seagrave for a new pumper. It will feature a 1750 GPM pump, 650 gallon water tank and a 30 gallon foam cell. It is also reported that it will sport a blue paint job. Posted December 2018. Templeton, Mass Fire Department- has placed an order for a Spartan/Toyne Stainless Steel Top Mount pumper w/ 1500 GPM pump and 1000 gallon water tank. Delivery is expected around September 2019. Posted December 2018. Truro, Mass Fire Department- has in production a Pierce tanker built on a Freightliner 114-SD chassis. It will feature a 500 GPM pump and a 3000 gallon water tank. Delivery is expected sometime in the spring. Posted March 2019. Walpole, Mass Fire Department- has on order an E-One tower-ladder. Delivery is expected later in 2018. Walpole, Mass Fire Department- town meeting approved funds to purchase a new pumper. Posted May 2018. Waltham, Mass Fire Department- has funding to order another Seagrave pumper, this one for Engine 7. Posted July 2018. Wareham, Mass Fire Department- has placed an order for a Spartan/EVI 22' walk in heavy rescue. Delivery is expected to be around July 2019. Posted December 2018. Warren, Mass Fire Department- has on order a Life Line ambulance. Webster, Mass Fire Department- has approved funds to purchase a new E-One Typhoon E-Max pumper. It will replaced Engine 5's 1996 Sutphen. Webster has also approved funds for the purchase of a Ford F-350 Crew Cab which will replace Forestry 3 and the Service Truck. Posted July 2018. West Boylston, Mass Fire Department- funds have been approved to purchase a new pumper. Posted March 2018. Westborough, Mass Fire Department- voters approved funds to purchase a new tower-ladder. Posted March 2019. Westminster, Mass Fire Department- has on order a KME Severe Service pumper with 1500 GPM pump and 1250 gallon tank. Expected delivery November 2018. Posted May 2018. Weston, Mass Fire Department- town meeting approved $750,000 to purchase a new pumper and associated equipment. It will be assigned to Engine 1 after delivery. Posted May 2018. Whitman, Mass Fire Department- has on order a pumper from E-One. Windsor, Mass Fire Department- has on order a Spartan/Toyne 1250/1000/25F with CAFS. Expected delivery in November 2018. Posted May 2018. Winthrop, Mass Fire Department- has placed an order with Seagrave for a pumper idential to the one recenly placed into service. Worcester, Mass Fire Department- is in the process of putting together specifications and ordering a new E-One Metro 100' RMA for Ladder 4. Posted June 2018. Atkinson, New Hampshire Fire Department- has placed an order for a Rosenbauer Mini Pumper on a Ford F-550 chassis with a 500 GPM Hale pump, 300 gallon water tank and an A/B foam system. Posted June 2018. Auburn, New Hampshire Fire Department- has placed an order for a Rosenbauer heavy rescue on a Kenworth chassis and a Rosenbauer “Smart Cab”. Posted June 2018. Barrington, New Hampshire Fire Department- has been awarded a Federal grant in the amount of $227,273 for a Firefighter Rehab Vehicle (to be shared with 10 communities). Bow, New Hampshire Fire Department- voters approved funds to purchase a new pumper. Posted March 2019. Brookline, New Hampshire Fire Department- town meeting approved funds to purchas a new ambulance. Posted March 2019. Conway, New Hampshire Fire Department- has on order an E-One Metro with 1500 GPM pump, 500 gallon water tank and 100' RM aerial. Posted in April 2018. Deerfield, New Hampshire Fire Department- Selectment to pursue purchasing new fire truck. CLICK FOR ARTICLE. Deering, New Hampshire Fire Department- town meeting approved funds to purchase a new pumper. Posted March 2019. Derry, New Hampshire Fire Department- has placed an order with Pierce for a new pumper. Posted January 2019. Dover, New Hampshire Fire Department- is set to receive their new Dodge ambulance towards the end of December (2018). A new Dodge brush truck is also on order. Dublin, NH- has on order a KME tanker. Epsom, New Hampshire Fire Department- town meeting approved funds to purchase a new ambulance. Posted March 2018. Exeter, New Hampshire Fire Department- has on order an E-One pumper that will replace the 1997 Pierce Quanum. Posted November 2018. Hinsdale, New Hampshire Fire Department- funds were approved to purchase a new brush truck. Posted March 2019. Hollis, New Hampshire Fire Department- town meeting has approved the funds to replace the 1996 International/Hackney Rescue. They are looking to now purchase a Spartan Metrostar Rescue. Posted in March of 2018. Hollis, New Hampshire Fire Department- town meeting approved a lease/purchase agreement for a new pumper. Posted March 2019. Hooksett, New Hampshire Fire Department– has placed an order for a Rosenbauer Commander EXT Custom Rescue Pumper. Features include an enclosed Hale 1500 GPM pump with speedlays, 1000 gallon tank, hydraulic ladder rack, and coffin style roof compartments. Posted November 2018. Hudson, New Hampshire Fire Department- Seagrave has completed construction on the department's new 100' Rear Mount Aerial. The unis is a straight ladder truck (no pump/tank) and will be shown at the FDIC prior to delivery. Posted April 2019. Loudon, New Hampshire Fire Department- funds were approved to purchase a new ambulance. Posted March 2019. Manchester, New Hampshire Fire Department- has on order an E-One pumper for Engine 11. Posted December 2018. Nashua, New Hampshire Fire Department- has placed an order with Pierce for a walk-around heavy rescue/haz-mat unit. The rig was purchased with Federal grant funds. Posted November 2018. New Hampton, New Hampshire Fire Department- funds have been approved to purchase a new ambulance. New Hampton, New Hampshire Fire Department- funds have been approved to purchase a new pumper. Posted March 2019. Rindge, New Hampshire Fire Department- has placed an order for a Rosenbauer Warrior Custom Pumper with a stainless steel body, Hale 1250 GPM pump, 1000 gallon water tank and class A foam system. This will be the first complete custom Rosenbauer (cab and chassis) in the state of New Hampshire. Posted June 2018. Rochester, New Hampshire Fire Department- has placed an order with Eastern Fire Apparatus for a 2019 Spartan/Toyne Rescue/Pumper that will replace Engine 4’s 1994 E-One. Delivery is expected in the Summer of 2019. Posted October 2018. Rye, New Hampshire Fire Department- funds have been approved to purchase a new ambulance. Rye, New Hampshire Fire Department- has placed an order with E-One for a ladder truck with 100' aerial. It will also have a pump and a water tank. Posted in April. Sandown, New Hampshire Fire Department- has received a Federal grant in the amount of $496,885 for a Pumper Truck. Spofford, New Hampshire Fire Department- has on order two (2) new trucks from Ferrara. Posted July 2018. Waterville Valley, New Hampshire Fire Department- funds have been approved at town meeting to purhase a new ladder truck. Posted March 2019. Whitefield, New Hampshire Fire Department- has on order an International/E-One 4 door Pumper-Tanker with 1500 GPM pump and 2500 gallon water tank. Posted April 2018. Woodstock, New Hampshire Fire Department- has on order an E-One Typhoon pumper with 1500 GPM pump, 1000 gallon water tank and 30 gallon foam tank. Posted in April 2018. Barrington, Rhode Island Fire Department- has placed an order with E-One for a new 100' rear mount Quint. The truck will feature a 1500 GPM pump, 500 gallons of water, and Class A foam capability. Hopkins Hill Fire Department (Coventry, RI)- has on order a new E-One ladder truck. Posted November 2018. Manville, RI Fire Department- moves foward with purchasing new ladder truck. CLICK FOR ARTICLE. North Scituate, Rhode Island Fire Department- has awarded Marion Body and Northeastern Fire a bid for a new heavy rescue. The rescue will be on an International MV Chassis and be equipped with a 16+’ Stainless Steel Body, Walk-across Crew Area, Coffin Compartments, Harrison Hydraulic Generator with a Cube System, HMA 20 GPM Ultra High Pressure Foam Firefighting System with water tank, pre-plumbed TNT Hydraulic Rescue Tools with reels, a compliment of TNT Battery Rescue Tools, engineered equipment storage and 280,000 lumens of LED flood lighting. Portsmouth, Rhode Island Fire Department- Funds have been approved to purchase a new ambulance, which will be built by Life Line on a Ford F-550 chassis. Posted in September. Scituate, Rhode Island Fire Department- is having a new heavy rescue built. No info on manufacturer. Posted November 2018. Warren, Rhode Island Fire Department- has placed an order for a Spartan/Toyne Stainless Steel Pumper w/ 1500 GPM pump, 500 gallon water tank and 100 gallon foam cell. Delivery is expected to be in November of 2019 and it will replace Engine 2's 1989 Maxim. Posted December 2018. Warwick, Rhode Island Fire Department- has placed an order with E-One for a new heavy rescue. The unit was purchased with Federal grant funds. Posted November 2018. Bennington, Vermont Fire Department- voters approved a $1.2 million bond to purchase a new ladder truck. Posted March 2019. Bethel, Vermont Fire Department- has on order a tanker being built by VTEC on a Kenworth chassis. Bradford, VT- has approved funds to purchase a 75' quint. Brattleboro, Vermont Fire Department- town meeting approved funds to purchase a new ladder truck. Posted March 2018. Updated on 4/18- The Board of Selectment will be asked to authorize the town manager to order the new ladder truck before May 1st to avoid a higher cost due to the increasing cost of steel. Pierce Manufacturing notified the department that the cost of the truck will increase on May 1 by an estimated $26,150 due to the rise in the cost of steel because of the tariffs. Burlington, Vermont Fire Department- has on order an E-One tower-ladder. It is scheduled to be completed around May-June 2019. Posted April 2019. Cambridge, Vermont Rescue- has a Chevrolet/Demers ambulance on order. Charlotte, Vermont Fire Department- voters approved funds to purchase a new pumper. Chester, Vermont Fire Department- has an E-One Typhoon pumper on order. Delivery is anticipated in late March /early April. Elmore, Vermont Fire Department- voters approved funds to purchase a new pumper. Posted March 2019. Manchester, Vermont Rescue Squad- has on order a 2017 Ford F-350 4x4/Osage ambulance. Peacham, Vermont Fire Department- has on order a Kenworth T470/Toyne 1000/2000 tanker. Delivery is expected in July of 2019. Pittsfield, Vermont Fire Department- voters approved funds to purchase a new pumper. Posted May 2018. Richmond, Vermont Fire Department- has a 2018 Freightliner/Toyne 1250/2000 pumper-tanker on order. Richmond, Vermont Rescue- has placed an order for a new Braun ambulance. Posted January 2019. Sheldon, Vermont Fire Department- has on order an E-One Typhoon Stainless Steel 1500/1000 pumper. Posted April 2018. Strafford, Vermont Fire Department- has on order an International/E-One 2 door stainless steel 1500/1000 pumper. Posted April 2018. Swanton, Vermont Fire Department- has on order an HME ladder truck. Delivery is expected mid-2019. West Dummerston, Vermont Fire Department- has received a Federal grant in the amount of $76,096 for a Brush Truck. West Weathersfield, Vermont Fire Department- has a Spartan/Dingee pumper under construction. Williston, Vermont Fire Department- has placed an order for a new F-550/Osage ambulance to replace Rescue 1. Posted January 2019. Williston, Vermont Fire Department- a 1.4 million dollar bond has been approved to replace three aging pieces of equipment. They will be replacing their tower-ladder, an engine and a brush truck with a new ladder truck and a mid size engine. Posted March 2019.